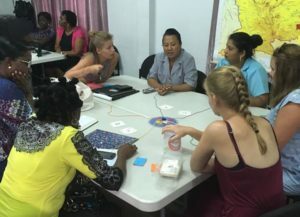 The memory trainer KURKEN™ (Dutch version of CatchYou™) was introduced in Suriname by two motivated students from the PABO De Kempel from Helmond in the Netherlands. The game was received very enthusiastically and played with a lot of fun. 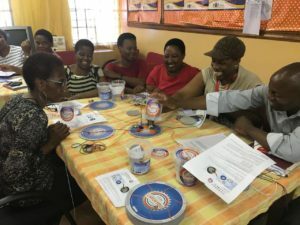 José Vermeij introduced the game CatchYou™ to the representatives of five primary schools in the township Atteridgeville in Pretoria, South-Africa. 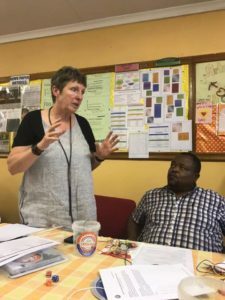 The game will be used in projects with the children from the townships of Pretoria. Your working memory is key to learning and to solve math problems. People with weak working memory skills have difficulty grabbing and holding on to incoming information and performing an activity like math. This means they have less material to work with when they’re performing a task. The part of the brain responsible for working memory is also responsible for maintaining focus and concentration. Here, working memory skills will help kids remember what they need to be paying attention to. Take, for example, doing a long division problem. Your child needs working memory not only to come up with the answer, but also to concentrate on all of the steps involved in getting there. Kids with weak working memory skills have trouble staying on task to get to the end result. 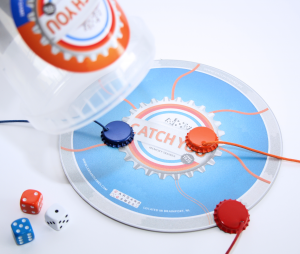 The CATCH YOUTM board game helps to train the visual-spatial memory. It is fun to play and you will learn to do your math problems better and faster. We all like playing dice and math becomes fun.